Guillaime sent us a headsup that he posted a wingsuit compilation vid of the Boogie Guarani 2009 on Vimeo. It's nicely edited and a fun watch. Good choice of music too! 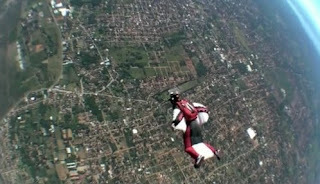 Boogie Guarani 2009 Wingsuit Edition from xnawakx on Vimeo.